Your audiences are hungry. While they have the ability to bring the world of news, entertainment, sports and information to their doorsteps - wherever that may be and on whatever device they choose - someone still needs to be out there capturing everything when and where it happens to feed that hunger. Luckily as broadcasters, it's becoming easier for you to have multi-camera shoots in difficult locations. Outside broadcast (OB) has even moved beyond the need to have fully equipped, expensive OB trucks. For example, now, lightweight portable kits are available. You can take advantage of flypacks and flyaway kits that can be shipped anywhere, allowing for a portable or impromptu solution that does what you need it to do. Having several different uplink transmission methods to use adds versatility and reliability to sending your video content back from the field. With this portable technology you can go to any location for any shoot with the minimal day-to-day maintenance. With a tapeless workflow you get your live music, sporting and news content back to where you need it fast, reliably, and in high quality. 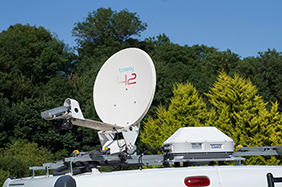 At Garland, we've been providing LiveU's award-winning live video-transmission transmission solutions to customers across the UK and beyond, in a host of markets. From backpacks to smartphone apps, LiveU offers a complete range of devices for live video coverage. LiveU's technology combines multiple 4G LTE/3G cellular, Wi-Fi and fixed line links over satellite or land-line, optimising for maximum video quality, combining all the available network connections. 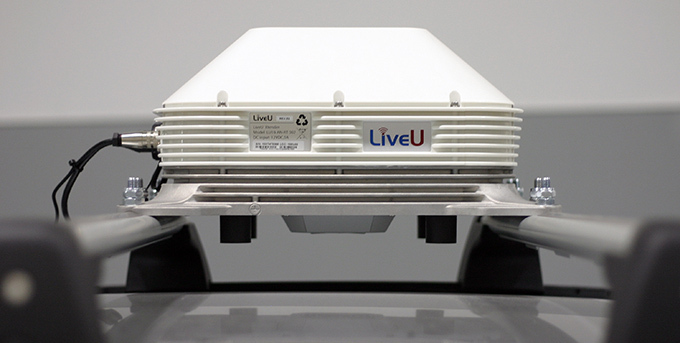 LiveU's solutions are used for breaking news, sports and high-profile events, including the 2014 FIFA World Cup, London 2012 Olympics, London Fashion Week, the birth of the royal baby and will be widely deployed for the forth-coming UK General Elections. 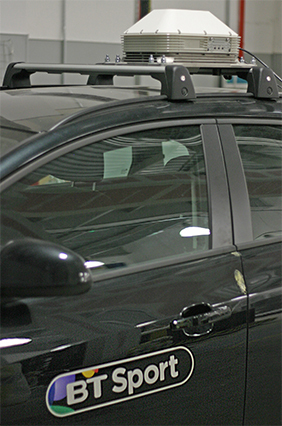 ABonAir's wireless video link systems transmit video content from cameras to OB-vans using microwave technology. These solutions are designed for news coverage, outdoor sports, reality show and live events when you need to capture those unique, unrepeatable moments with continuous and stable content transmission. Whatever your source - HDMI, SDI, IP, file and more - it's important to get this to your customer, master control room (MCR) or studios in the best quality and as quickly as possible. Getting the right encoder is always a key decision, as there are many different requirements from all broadcasters and downlink houses. Whether you have superfast fibre connections or no connectivity at all, an encoder is available that will work over the network you have. Hardware and software that uses error-correction protocols, ensures that the encoder you chose will give you the best quality of experience. For example, the MV5000 and HV9000 codec systems from NTT Electronics offer excellent quality, stability and low latency and are widely used throughout the broadcasting industry. Additionally Teracue's ENC-300 encoder is a small form factor unit designed for point-to-point and direct live streaming from the field. But what happens when you get to the site, have all your cameras set up and the production team ready to go only to find that the connection from the venue is not what you were promised? The good news is that you don't have to rely on venue connectivity. You can use cellular bonding encoders, or Ka-Band, BGAN or Ku-band satellite uplink terminals, or a combination of all to get your content into your network. Solutions are available that can support powerful industry standard error correction protocols such as Pro-MPEG, ARQ/TCP and Zixi, for robust and protected delivery over public networks. The decoder is all about presenting the right output to the rest of the chain. We've provided proven and well deployed receiving facilities at many major broadcasters and downlink facilities in the UK, matching the client's work-flow and infrastructure requirements. The world of content gathering continues to increase in scale and reach. It's a good thing the technology available continues to not only keep pace, but provide broadcasters with ways to expand their offerings, find new revenue streams, and keep their audiences happy.